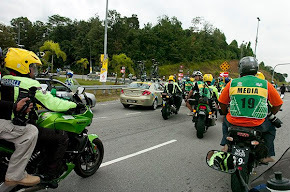 KUALA LUMPUR, Friday, 8th Febraury 2013 : Radio Television Malaysia (RTM) was formally appointed as host broadcaster for Asia's premier race Le Tour de Langkawi in 2013, which begins this 20th February. 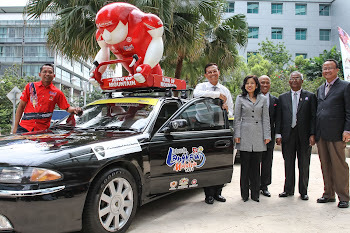 In a signing ceremony of understanding between LTdL organizers with RTM at Angkasapuri today. The cooperation between the organizers of Le Tour de Langkawi and RTM was established since the first edition in 1996 and after 18 years, only three times RTM was not involved, in 2007, 2008 and 2010. 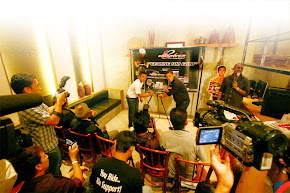 RTM will also produce the entire television production for the 18th edition. 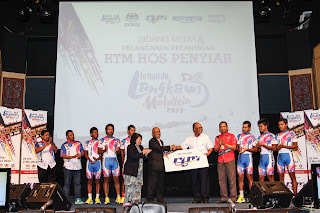 Also present at the event were the Ministry of Youth and Sports Secretary General, Dato 'Mohid Mohamed, Secretary General of the Ministry of Information, Communication and Culture, Dato' Kamarudin Siaraf, RTM Director, Dato' Norhayati Ismail and Chief Operating Officer of Le Tour de Langkawi 2013, Emir Abdul Jalal. 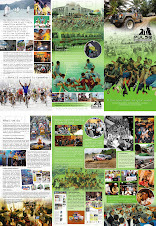 RTM promised a unique production in order to provide the best coverage this year, the production will be in High Definition (HD). 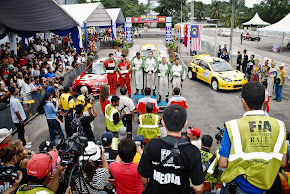 RTM also provide an HD OB van and MCP HD for live broadcast have been set in 10 locations, as well as using helicopters for the last 15km broadcast, the use of 12 cameras at every finish location the finish including four onboard cameras for live broadcasts and daily highlights. 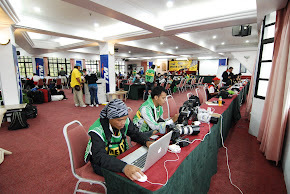 For the first time through RTM radio network will also provide extensive coverage throughout the race. 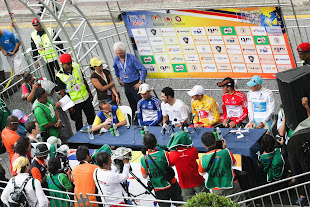 National FM will be the official radio for LTdL 2013 while while Asyik FM will be broadcast partners. 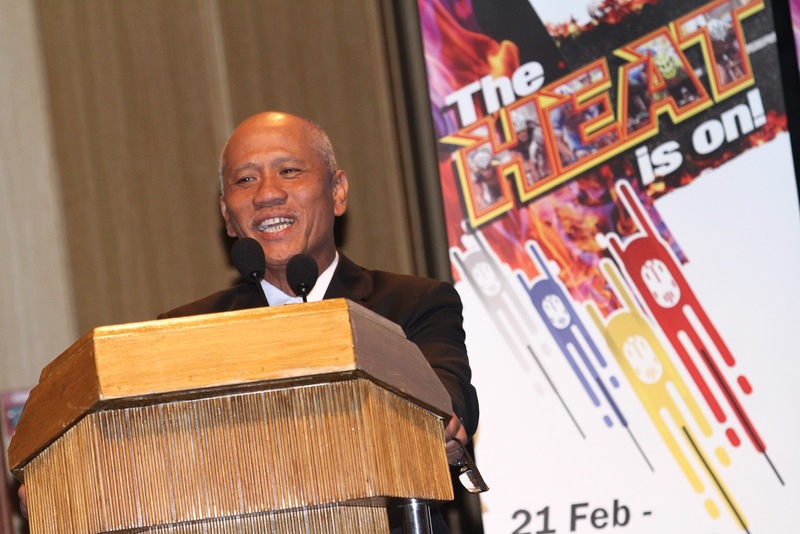 The state radio stations involved will also provide extensive coverage this time. 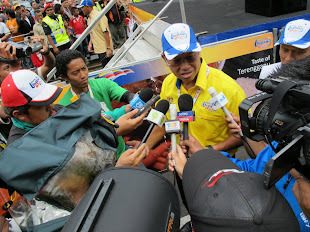 Coverage and commentary for the live broadcast and daily highlights of LTdL 2013 will be by Dato 'Hasbullah Awang and Rasdi Jumaat while Musairi Musa and Nurul Alis will be the ground emcee at the start and finish lines. RTM will broadcast live starting 20th February to 2nd March through TV1 while daily highlights will be aired from 21st February to 2nd March, from 11.30 pm to 12.30 midnight. 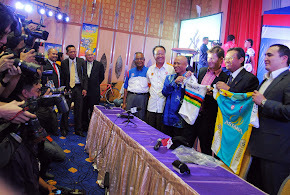 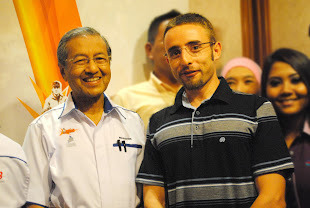 “LTdL 2013 will be fielding the most interesting line up in the history of LTdL which will include five ProTour teams, strong competition is expected to be seen in this 18th edition and RTM is indeed to bring this great action on television for cycling fans”, said Dato' Mohid in his speech.